5.0 out of 5 starsExcellent Performance! 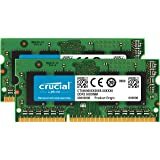 Although SATA may not be the optimum connection for SSD, it sped up my old computer a lot. Startup (booting) now takes a few seconds, before it took many minutes. Everything is noticeably faster. The old hard disks tended to fail after 5 years or so, the Crucial MX500 is guaranteed for 5 years, so here is hoping it lasts. They say that the emptier an SSD is, the longer it will last, which is partly why I got the 2Tb version. A cheaper option than the nearest Samsung equivalent with no real-world compromises. Yes, it’s slower on paper than Samsung’s but so fast it doesn’t matter. 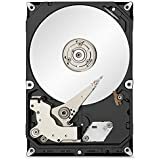 I replaced my DIY Fusion Drive in my 15” 2011 MacBook Pro, which consisted of a 256GB Sandisk Extreme SSD and the factory 750GB HDD. Now I have 1TB of fast storage and I have my optical drive back. Good balance between speed, price and capacity. Sustained write for large (larger than 50GB or so) file writes is decent, much better than Samsung QVO. 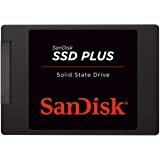 Great for large file work – I use my drive for video editing and it makes a huge difference compared to my old spinning drive. 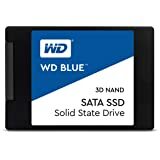 5.0 out of 5 starsGreat Value SSD for Gaming! Use this primarily for gaming and the high read/write speed really helps with load times and boot speed. It's easy to set up and install. Would highly recommend! 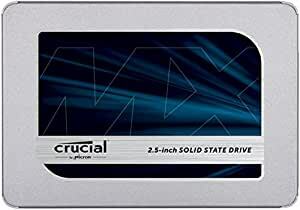 Crucial MX500 1TB 3D NAND SATA 2.5 Inch Internal SSD decreased the time to start and overall performance has improved a lot. 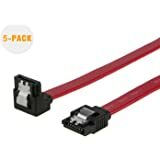 Remember to buy the SATA cable separately. 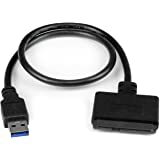 Would recommend if you are using traditional internal hard disk. 5.0 out of 5 starsAwesome SSD. For the price to performance ratio, this is a great purchase. 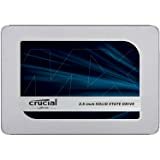 Samsung have the brand recognition, but Crucial are definitely are solid buy if you want to save some money. Definitely recommend. Original 1TB HDD in my iMac was embarrassingly slow. I upgraded to the MX500 and its just like I bought a brand new computer. Everything opens so quickly now. Very happy with this purchase. Arrived quickly from Amazon and was the cheapest price I could find anywhere. 5.0 out of 5 starsWorks well for PS4 upgrades. Exactly what I ordered, came in retail packaging with a spacer to fit thicker 2.5” caddies. Wasn’t required for my PS4 as it was a straight swap into existing screw mountings. Works well for PS4 upgrades.